LiSA released her two greatest hits albums LiSA BEST -Day- and LiSA BEST -Way- simultaneously on May 9. The albums both peaked at number 1 and 2 on the Oricon Weekly Album Rankings respectively, the highest she has ranked on the charts. The J-rock queen is currently on her Asia tour titled LiVE is Smile Always～ASiA TOUR 2018～[eN] which included performances at Nippon Budokan and Osaka-jo Castle. The tour took her to Taiwan on August 18 where she performed a solo concert at Hsing Chuang Gymnasium. The show marked the 6th performance ever from LiSA in Taiwan – and for the fifth consecutive year in a row. It was her first performance in an arena and her biggest to date. 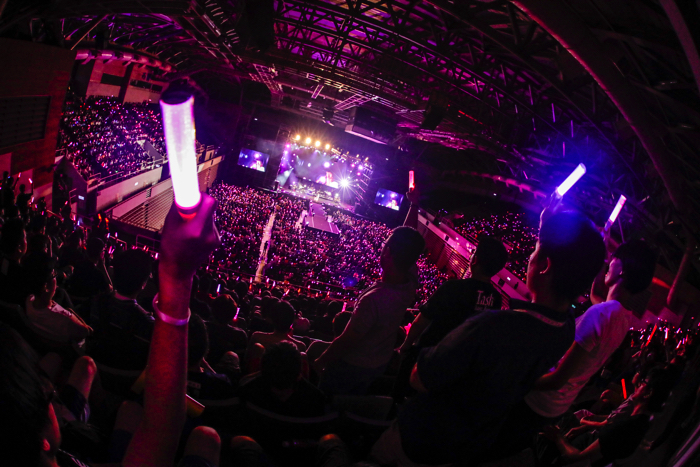 Tickets sold out immediately on the day of release which led to a packed out venue of close to 5,000 Taiwanese fans. The singer performed a string of different songs including her big hit Catch the Moment as well as Moonlight Densetsu which serves as the main theme song for the anime series Bishojo Senshi Sailor Moon. The fans showed their excitement from beginning to end, with the whole room singing together in Japanese. “Thanks to all of you being here kindly to greet me upon my return to Taiwan, one of my dreams to perform here today at my first ever arena tour in the country has been granted. I want to perform live at Taipei Arena [10,000 capacity] next!” LiSA said, expressing her enthusiasm for the future. Her Asia tour―which includes 4 concerts in Japan and 5 concerts overseas to a total of almost 60,000 people―is almost at an end. The singer will next perform in Guangzhou on August 24 and in Shanghai on August 26. 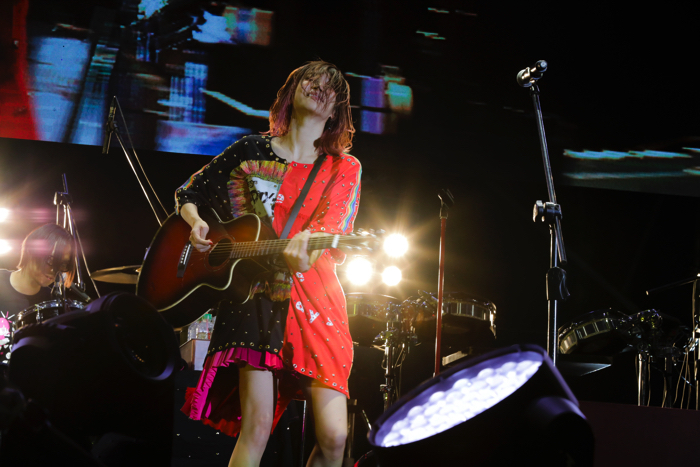 Starting in October, she will head on her nationwide Japan hall tour LiVE is Smile Always～ASiA TOUR 2018～[core] where she will reinforce her title as rock heroine through 13 concerts. It was recently announced that LiSA’s new song ADAMAS will serve as the opening theme song for the upcoming anime series Sword Art Online: Alicization set to begin in October. 2018 is the year of LiSA.